Here is another awesome game review for you sponsored by Timberdoodle! 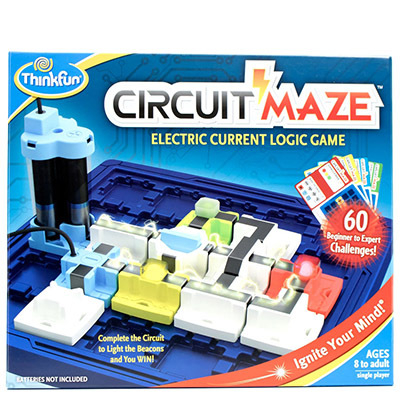 This game is called “Circuit Maze” by Think Fun (love their toys BTW!) 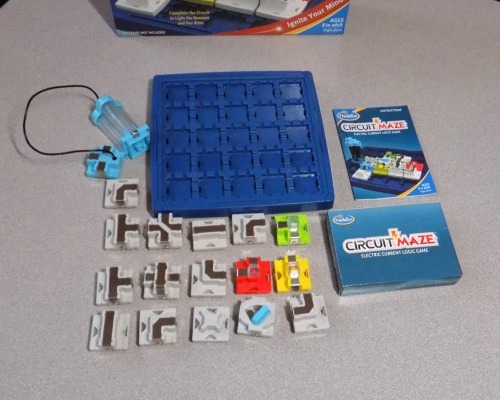 and it helps children to learn the concepts of how circuits work. They can experiment with open circuits and closed circuits to find out what works and what doesn’t work. When they put all the circuits in properly then the little LED light will light up. Great introduction to STEM! This game comes with challenge cards that increase in difficulty as they progress. The card will tell them what to place on the board and what is needed to complete the circuit. Kids get to experiment and use trial and error to figure out how to get the light to come on (close the circuit). 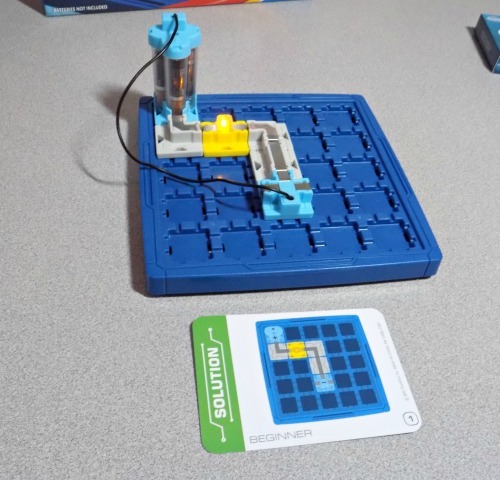 This game is also great for building up logical thinking skills and give them a more thorough understanding of how circuits actually work. My kiddo (6 years old at the time of writing this) really enjoyed this game! He loved the challenge cards and racing to figure out how to put everything on the board correctly. This game is labeled for years 8 years up and up, but I think younger children can really benefit from playing this game. 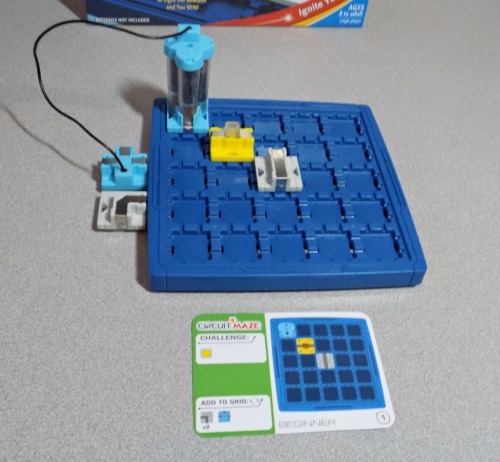 This is definitely a game that I would recommend to anyone who is looking to teach STEM and also looking to help build up problem solving/logic skills. And when you finish the first challenge card correctly the light will light up! It is important to take note that all the + and – on the pieces are facing the correct way. You can find the game here on Timberdoodle. You can follow Timberdoodle on Facebook here and stay current on all the new fun and exciting toys they offer.